My own children have participated extensively in Destination Imagination at international levels. Their teams BOTH went to GLOBALS in beautiful Knoxville,TN! The experiences helped them gain confidence while building higher level thinking and problem solving skills. Although they are now in high school, they continue to have a lifelong bond and connection to their DI Teammates. Note: if you check the DONE box, you can not return to edit. 2. Verify your background check with your campus liaison. 8. 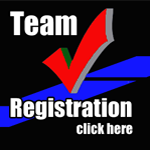 Register your team online. 9. Turn in team forms to your campus representative by December 1, 2015. Important Reminder: There are only 16 days left to sign up for TX DI's Journey Camp. The deadline is September 11, 2015. Key details are listed below.